This picture was sent in by MP. He writes: "Anthony's offers a variety of seafood with a full bar and good views of the harbor from any table in the main dining room. 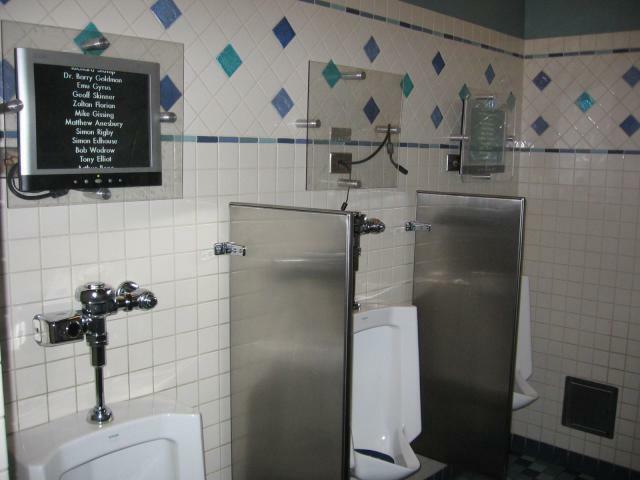 It was interesting that the urinals had TV's above them showing regular cable programs."